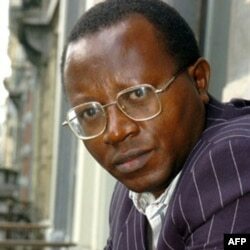 Congolese human rights activist Floribert Chebeya was found dead last week under suspicious circumstances. A leading human rights activist in the Democratic Republic of the Congo was found dead last week near Kinshasa under suspicious circumstances. Floribert Chebeya had campaigned tirelessly since the regime of Mobutu Sese Seko to uphold the rights of Congolese citizens and to give a “voice to the voiceless,” as his human rights organization was known. His death, which came after he indicated that he was en route to meet with the chief of the national Congolese police, John Numbi, has shocked and saddened many, both in the DRC and the international community. Numbi has been suspended from duty pending the current investigation. The United States is deeply concerned about this apparent assassination and has offered to do what it can to help the government in Kinshasa investigate and bring those believed to be responsible to justice. Friends and co-workers say that Mr. Chebeya had received regular threats over the years because of his work. His death follows the killings of other human rights defenders in the DRC in recent years. Congolese human rights groups remain vulnerable to harassment, arbitrary arrest, killing and other abuses by security forces, as the nation struggles to recover from years of civil conflict. As the country prepares to celebrate the 50th anniversary of its independence at the end of this month, Chebeya’s death underlines the challenges that continue to face the DRC, particularly its judicial and law enforcement systems. Previous assaults and killings of Congolese human rights defenders and journalists have rarely been properly investigated and were marred by serious irregularities. In 2009 the UN special rapporteur on the situation of human rights defenders expressed concern for the situation of rights defenders when she visited Congo. She recommended that the government establish a legal framework for protecting human rights defenders, and that it legitimize the work of all human rights defenders, in part by publicly condemning all abuses against civil society actors. The United States joins with United Nations Secretary General Ban Ki-moon in calling for a thorough and independent investigation into Mr. Chebeya’s killing, including an autopsy to determine the cause of death. The United States extends its sincere condolences to Chebeya's family and friends.